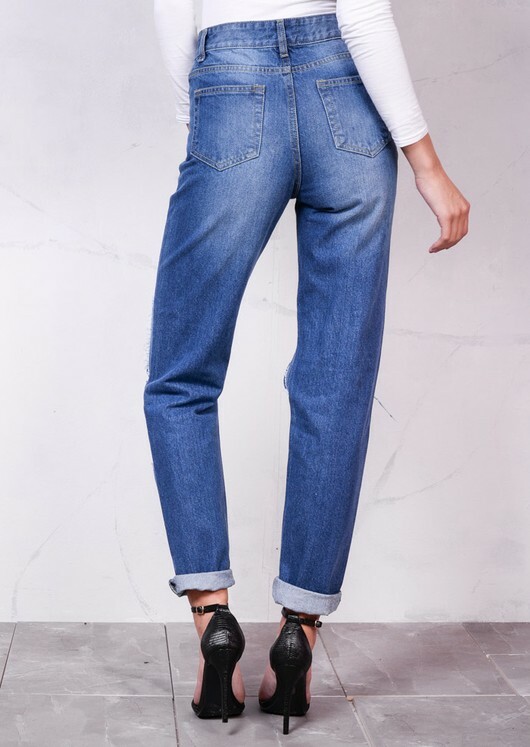 These high-rise boyfriend jeans are a wardrobe instant go-to style! 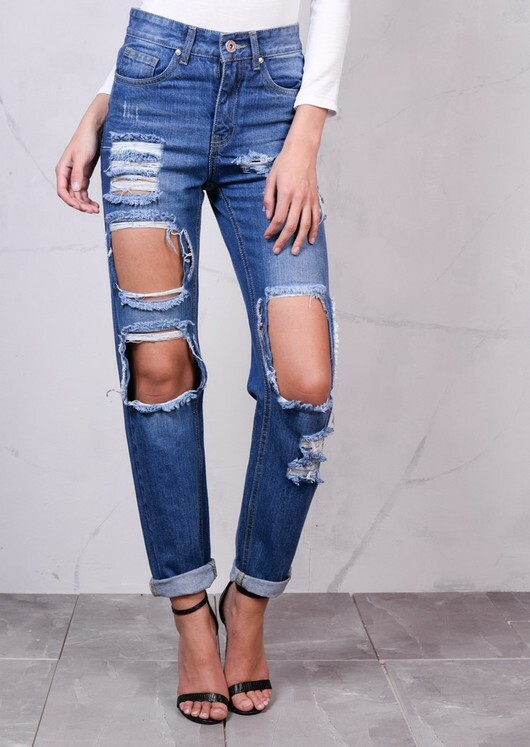 Featuring a relaxed fit, five pockets and extreme ripped detailing which updates the classic boyfriend style. Wear them with a classic white bodysuit, puffer jacket and heels for the perfect casual chic winter look.